Recently Mac has extended their Retro matte lipsticks by adding twelve more shades in this range from muted to deep tones. The total shade extension consists of wide range of neutrals to bold shades. So from the old retro matte liquid lip color collection, I pick up the shade "OH LADY" and from the new retro matte liquid lip color collection I pick the most raved shade "TOPPED WITH BRANDY". Price: - Rs.1850/- for 5ml. (yes they hike the price from Rs.1800/- to Rs.1850/- now). A lip color that provides a splash of color in a liquid-suede finish that lingers. For those who prefer timeless glamor to all-out flash, matte reigns supreme. 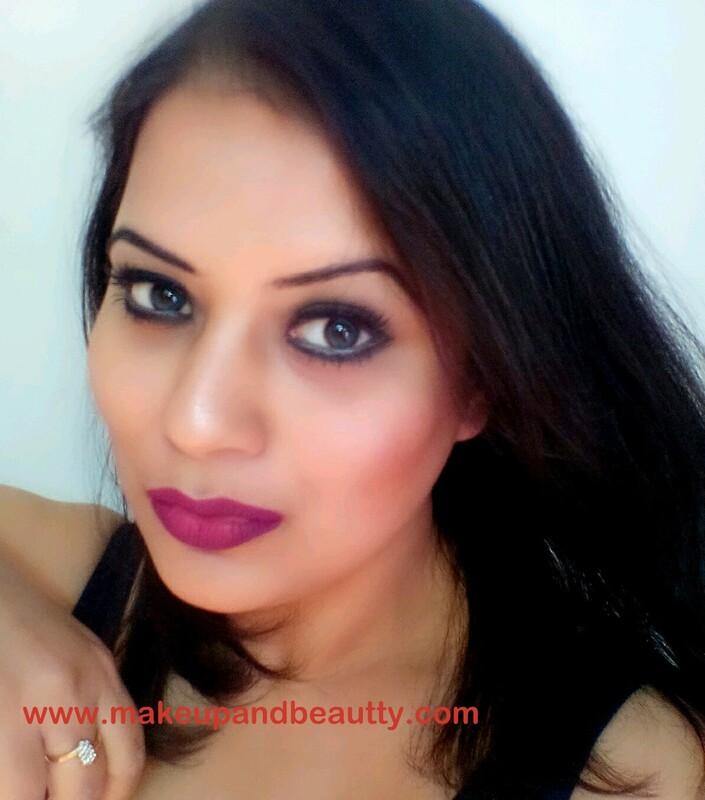 M.A.C introduces a twist on this classic texture with robustly saturated shades of Retro Matte Liquid Lipcolour. Whichever shade you choose, all promise one thing: a splash of color in a liquid-suede finish that is impossible to forget. - Apply directly to lips before or after any M.A.C Lipstick or Lipglass application. When you are a person who loves to experiment with makeup and people do appreciate your hard work then there is a certain pressure that pressurize you to come up with good results from experiment again and again. Moreover, as I was little bored with my usual pick of color in lipsticks like pink, red, brown so this time I choose something different. 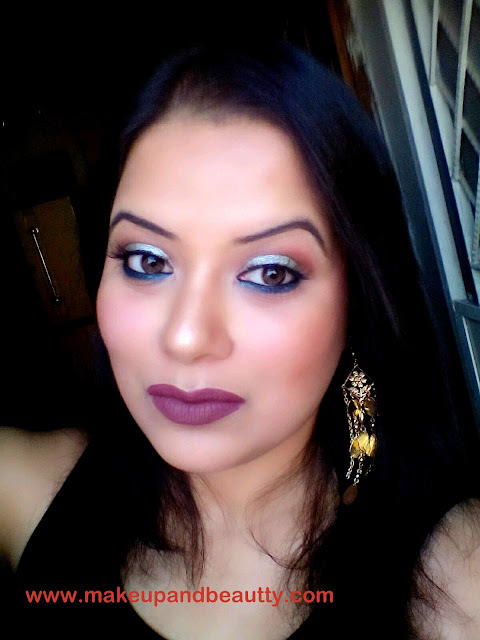 I tried to break the monotonous look of mine using pink and red lipstick mostly. And so I pick a cool tone berry shade (OH LADY) and a warm plum shade (TOPPED WITH BRANDY). 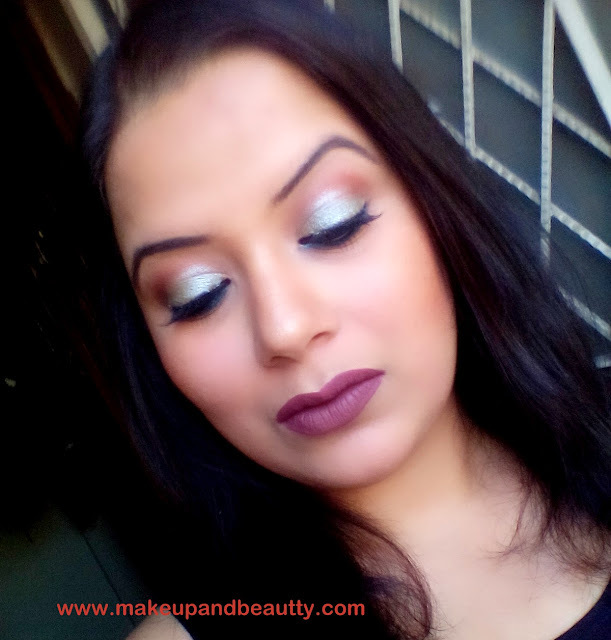 I grab the shade "Oh Lady" from Mac store while I grab "topped with brandy" from Nykaa.com (I already shared a picture on my Facebook page and Instagram, if you are following me there ). The lipstick comes in a transparent packaging with a tapered wand. 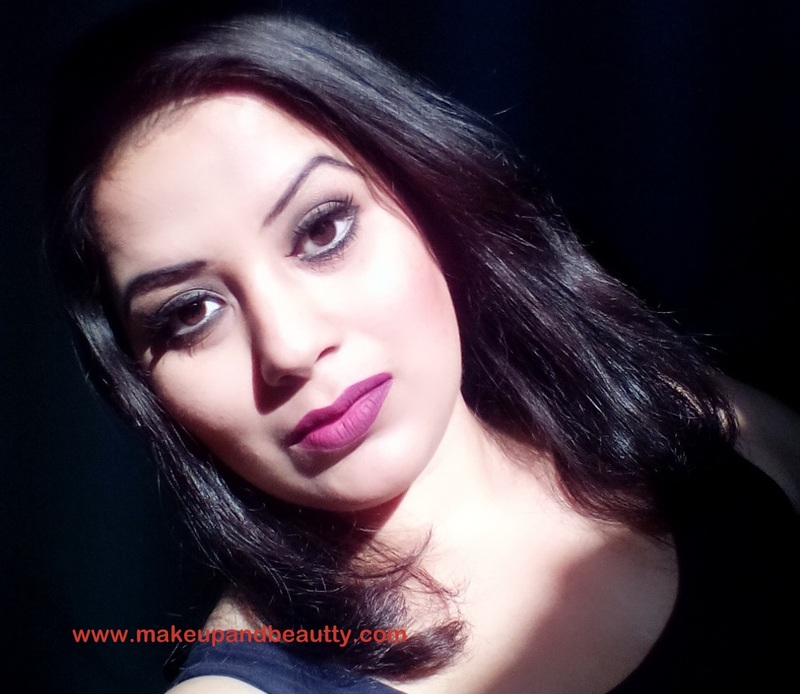 The color of the lipstick can be seen from outside for which it is easy to pick from the stash.The wand is just perfect to apply the lip color on your lips and the tapered tip of the wand can be used to line the outline of the lips. Mac retro matte liquid lip color is liquid matte lipstick. It is worth mentioning that they might have improved the formula of retro matte liquid lipstick. 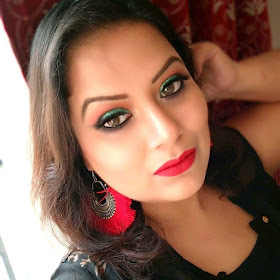 As there were a pigmentation and patchy issues in one of limited edition retro matte liquid lip color range that was launched a few months back but these lip color are not at all lack in pigmentation neither they have patchiness. The lipsticks stay pretty 6 hours if you don't eat any oily foods. 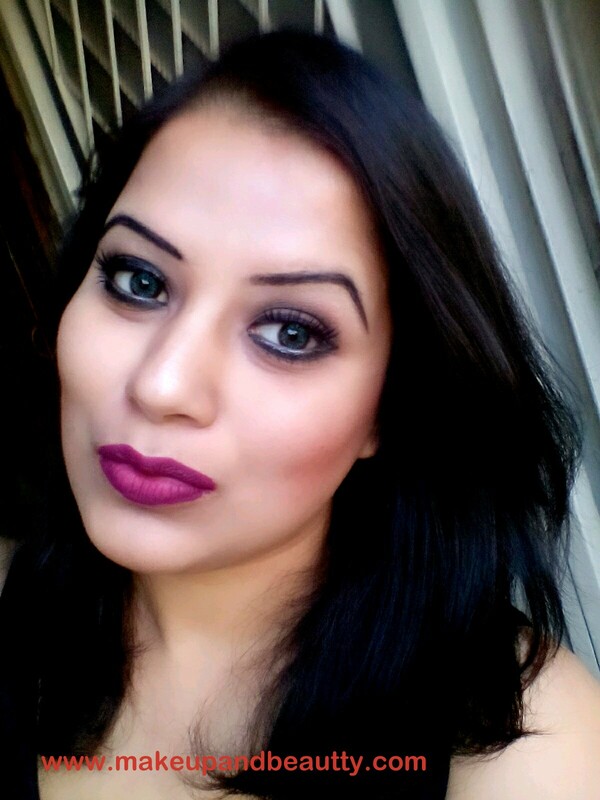 These are transfers proof but with time during winter it turns a bit flaky on lips but I don't blame the lipsticks for that as Delhi winters are giving me really hard time.The main issue that I face with this lipsticks is that they start to fade from the center of lips first after having any oily food which is a bit embarrassing. So, to avoid that I always prefer to go for re-application after having a meal. The liquid lipsticks turn super dry with time during winter, so one might need a lip balm to rescue the lips from super drying to some extent. But still, a proper exfoliation of lips with moisturizing is suggested before applying these lipsticks as they dry quickly and settle into the lip lines badly after hours. 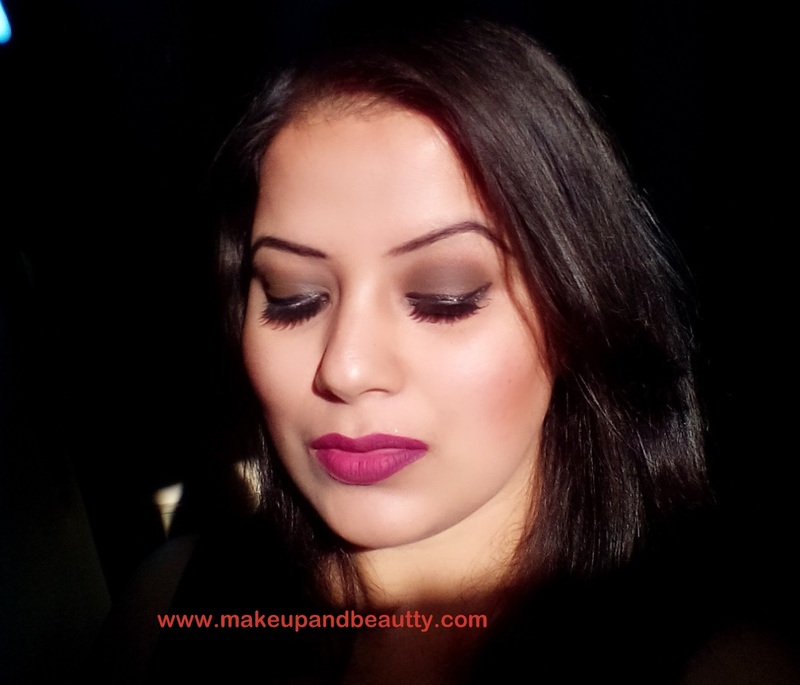 Both the shades are perfect for fall and both the shades will suit fair to dusky skin beauties. 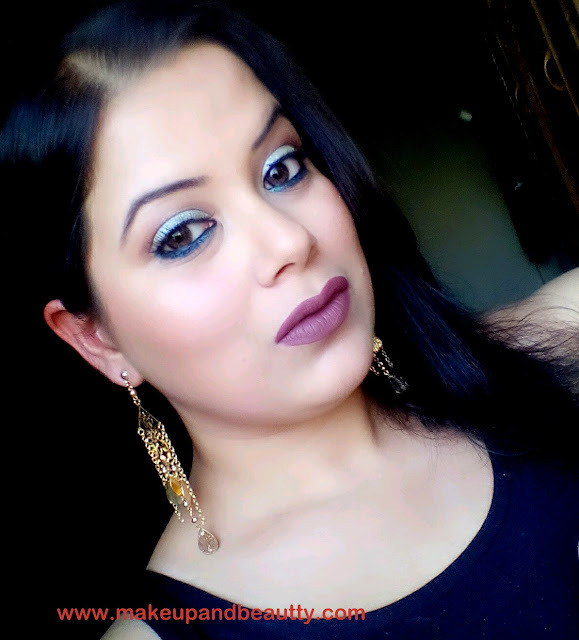 In short, both the lip color are versatile shade. So if I ignore the dryness issue (which is quite common with any liquid lipsticks from any high-end brand) of these lipsticks then these lipsticks are quite comfortable on lips, they are light in texture and dry out super fast after application. I must say it is a perfect matte lipstick for matte lipstick lover. I have already three from this particular range (reviewed here) now I added two more and maybe I will add few more too as these are my favorite liquid lipsticks from my favorite brand. Now coming to these shades particularly, I must admit that both are unusual color in my stash. One shade is bold (oh lady)which can be carried with only a simple winged liner on eyes whereas the other one (topped with brandy) is a very tricky shade as it looks different on different skin tone. 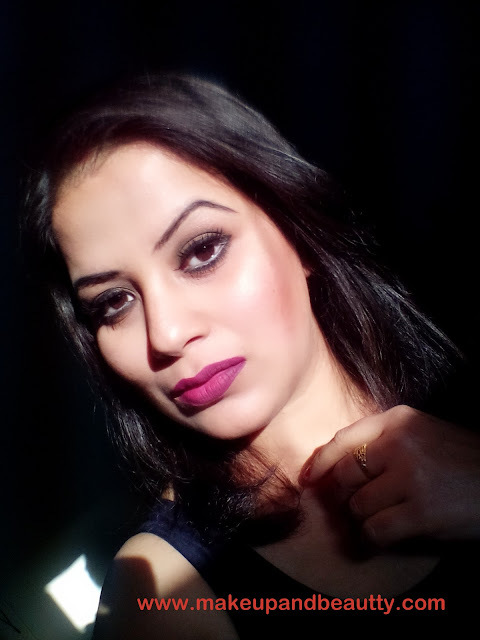 I was mainly worried about the shade TOPPED WITH BRANDY as it looks so beautiful on few people whereas it look disaster on other, and many of my friends were eager to see me in this unusual shade as they have a believe that I can make the shade work. 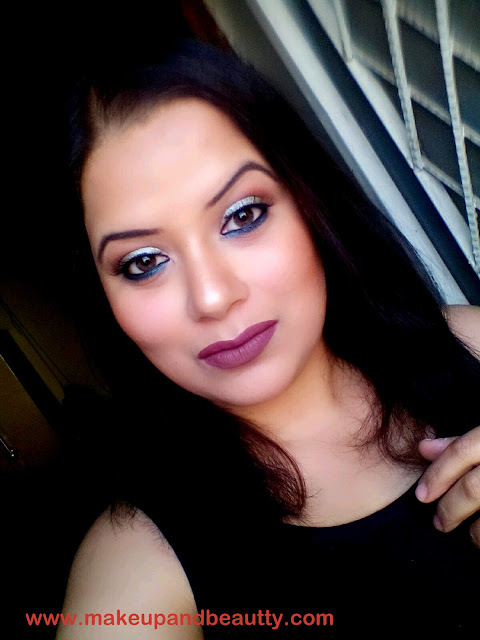 The moment I had this shade on my hand, honestly I was not so impressed seeing TOPPED WITH BRANDY, a muted shade of brown as it looks more closer to shade Mac Lipstick Whirl (which never suits me). 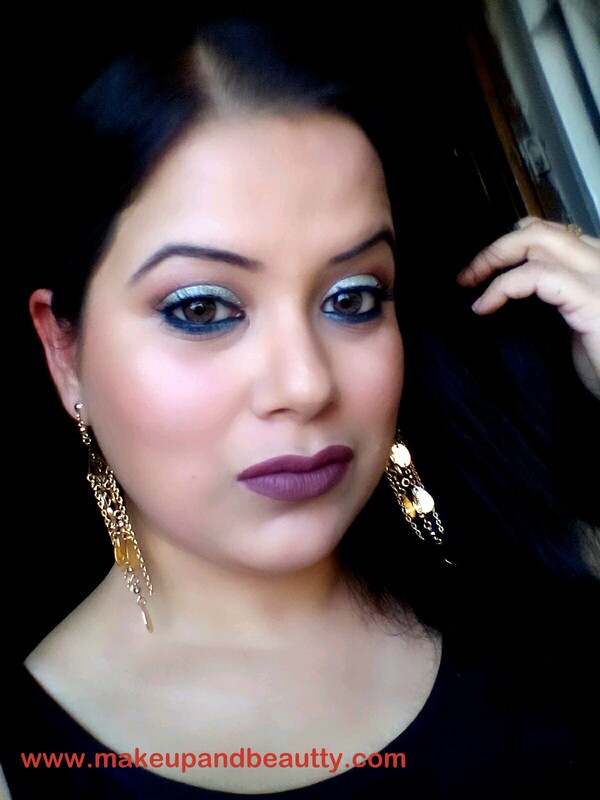 But when I applied it on my lips to click pictures in sunlight, the shades comes out so pretty on me that I am in really liking the shade more over "oh lady" one. So, yeah I tried my level best to make this lipstick look good on me and here are the few pictures of it.